Our original 3 slots business card holder holds up to 45 cards. It's created in natural granite. The burnt sienna coloring has flecks of brown, black, and orange within it. 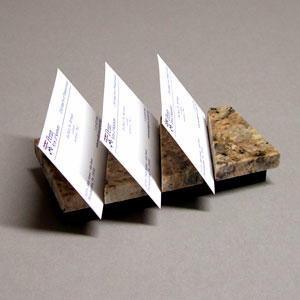 This elegant stone desk accessory makes even the simplest cards into a statement.